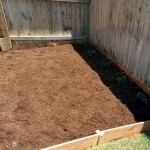 So I have wanted to clear some space to be able to grow a vegetable garden. 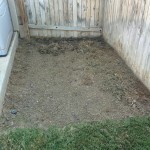 I started out by selecting an area of grass and then cutting it with the lawn mower on the lowest setting. 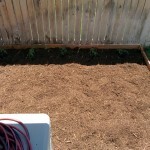 After that I turned over the dirt using a shovel. 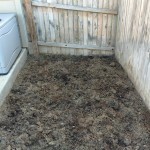 I added in a bag of composted manure to the mix to help improve the soil. It’s really poor out here and the clay seems to start an inch down. 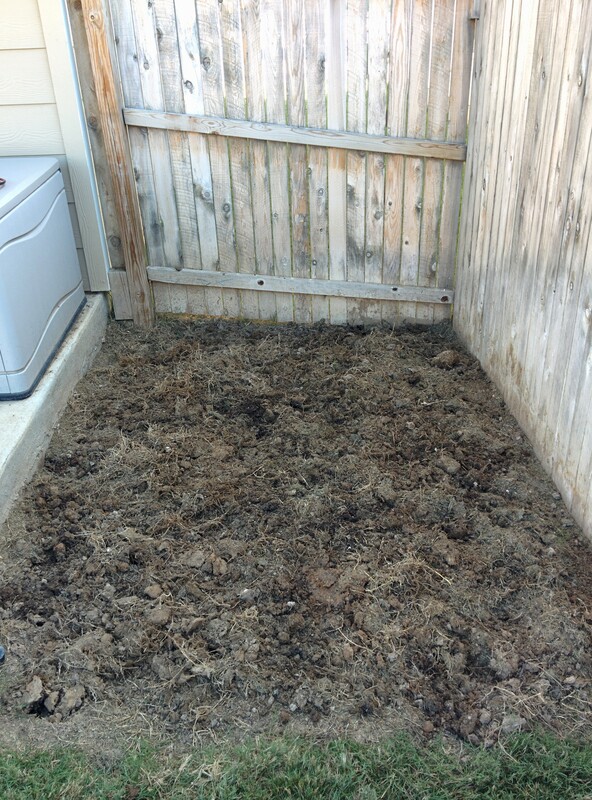 I also mixed in about four cubic feet of partially composted material from our home compost heap. I later also purchased a Garden Weasel from Lowes. It’s basically a hand tiller. and it help break up the chunks I shoveled better. I worked on this a little at a time over a period of a few weeks and had a rain storm put a stop to the work for one week. 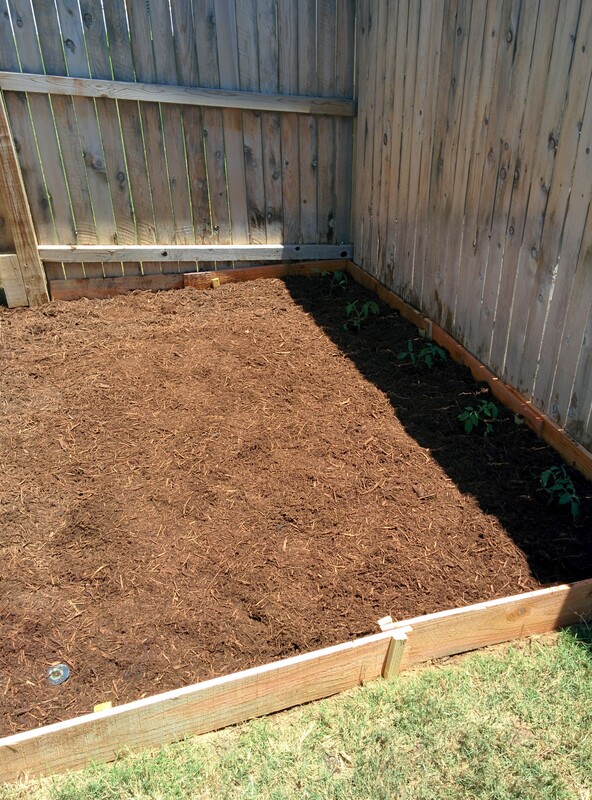 After working the soil for a while I felt it was really improving and something might actually grow well in it. 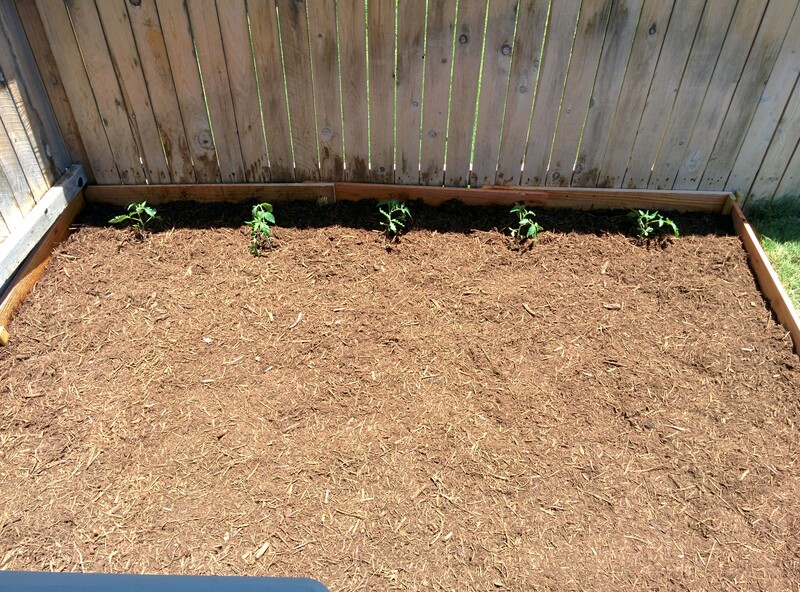 Not the best soil around but much better than what I had. I still had some loose pieces of the strong creepers from the Bermuda that was there before. I raked it to the top and then ran the mower over it again. That made it much better. 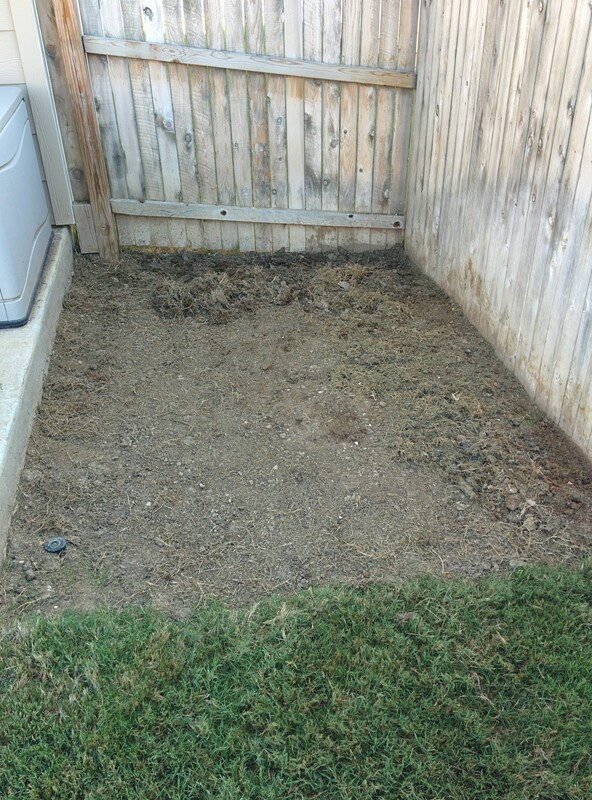 I raked it around a few times and repeated to get the loose bits all chopped finely. 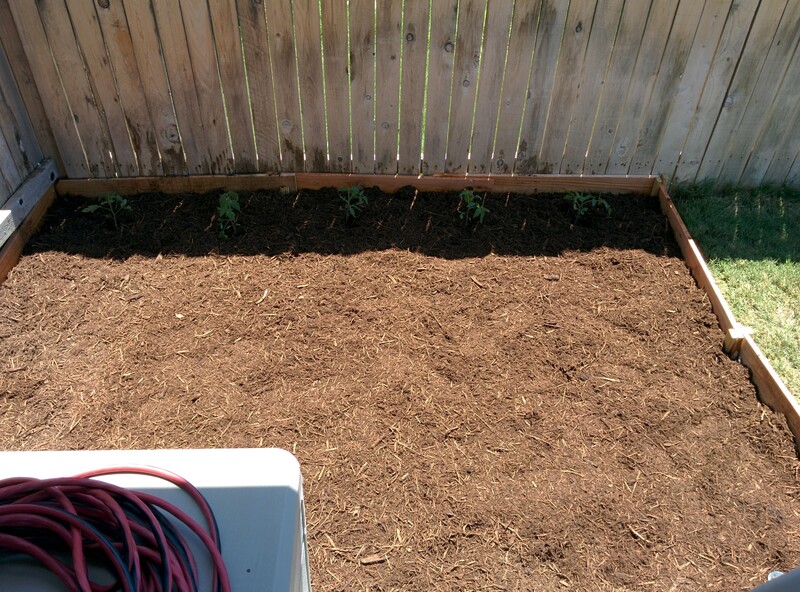 Then I put a border around the edges using some cedar fence boards and wood steaks I hammers into the ground. 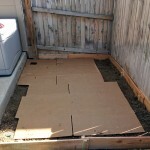 I also started laying down some cardboard. 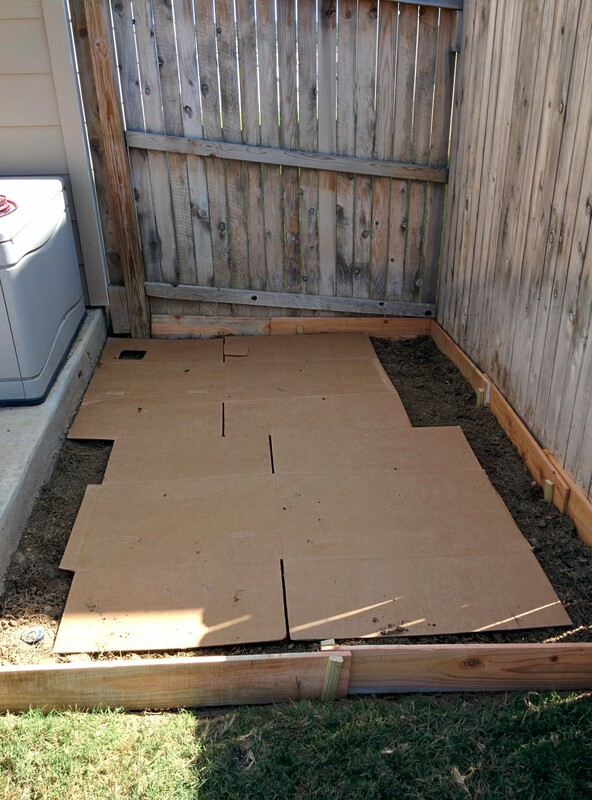 The boards will help form a physical barrier from the Bermuda creeping in. 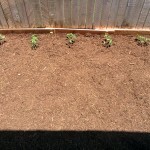 I then planted the tomato plants I had been growing indoors from seeds. I want to say we started them in March. Next year I think I will try plating them inside earlier. 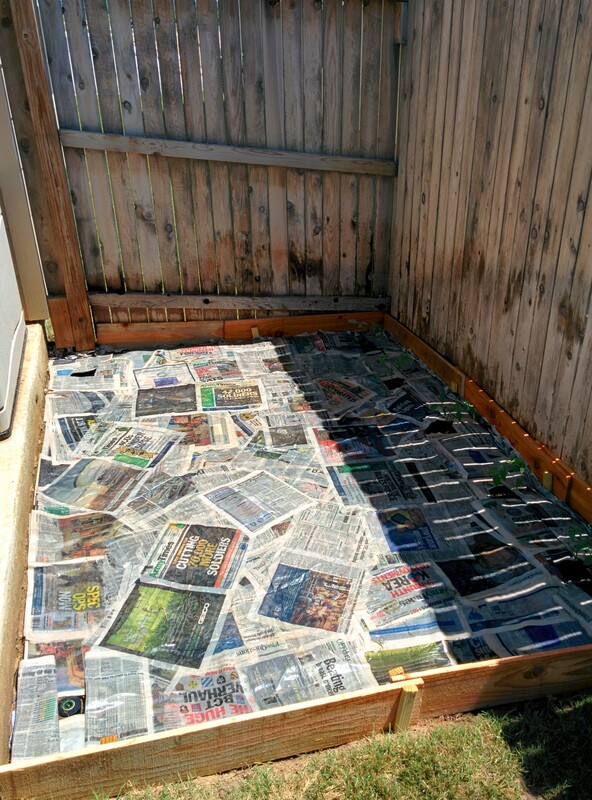 After the planting I udjusted the placement of the cardboard and started layering down newspapers to fill in the gaps on the soil the cardboard left. 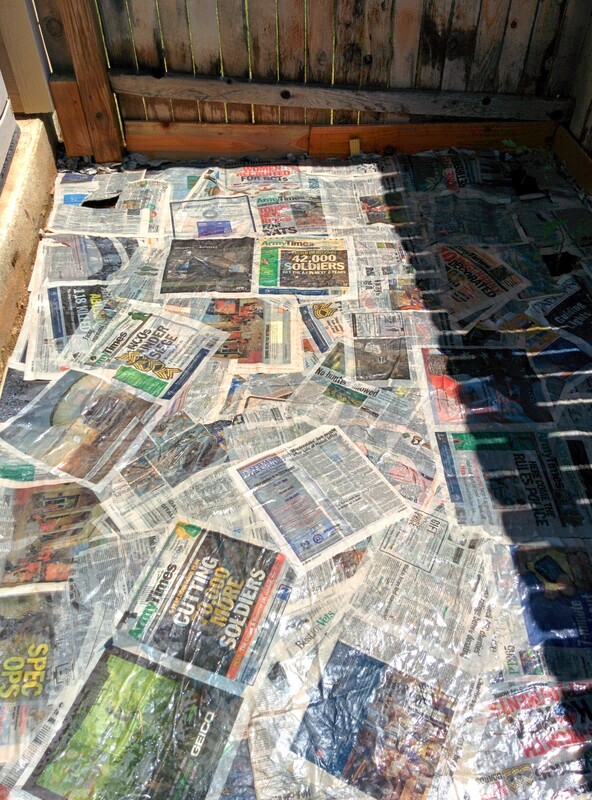 After all the soil was covered by several layers of paper I covered everything with newspaper to connect it all like a giant paper mache piece. 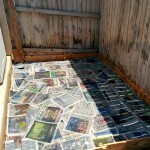 As I went along I wet down the paper with a hose to plaster it all together. That’s a good use for old copies of the Army Times. I picked them up from the discard shelf at the library. 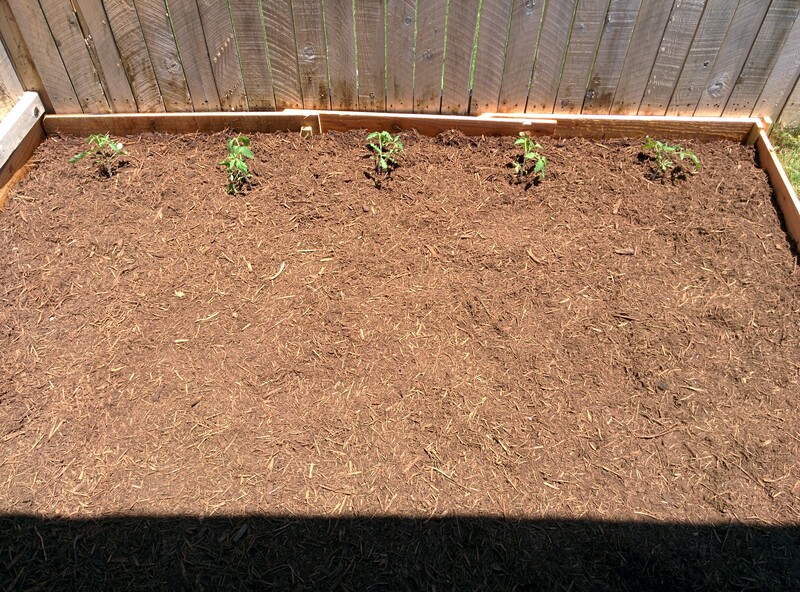 I just left space around the tomato plants. 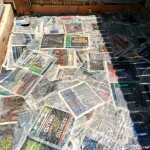 The papers should make an excellent weed barrier from anything underneath the paper. When I plant more things in the future I will just cut a hole through the paper. 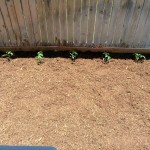 I then covered the paper with Texas Native Cedar Mulch.